My wife and I arrived safely in Prague this morning. I’m looking forward to teaching at the local congregation Sun AM, and then speaking at the annual lectureship at Kamenice Mon-Fri. It is good to be with Mike Morrow for this effort. This afternoon Linda and I had the occasion to do some walking in and around the historic square in Prague. 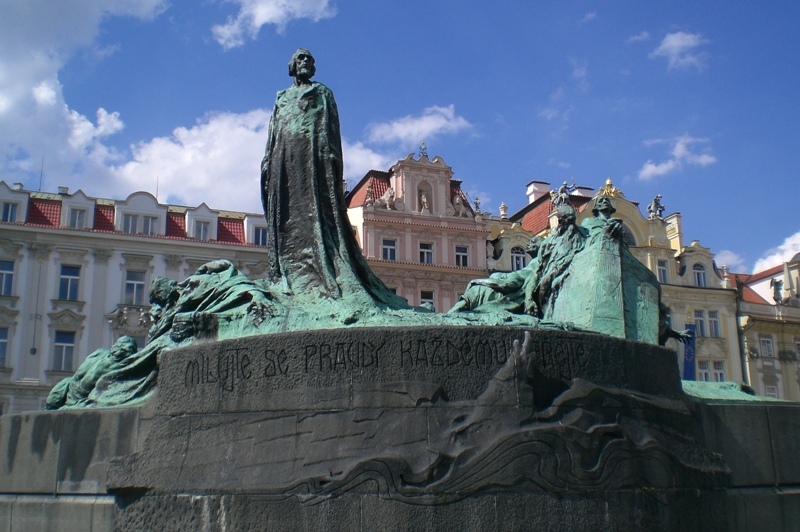 There is a monument to the reformer John Huss, a Czech priest, philosopher and religious reformer. John Huss. Prague. Photo ©Leon Mauldin. John Huss was burned at the stake for his faith on July 6, 1415. He continues to be held in high esteem by the Czechs. 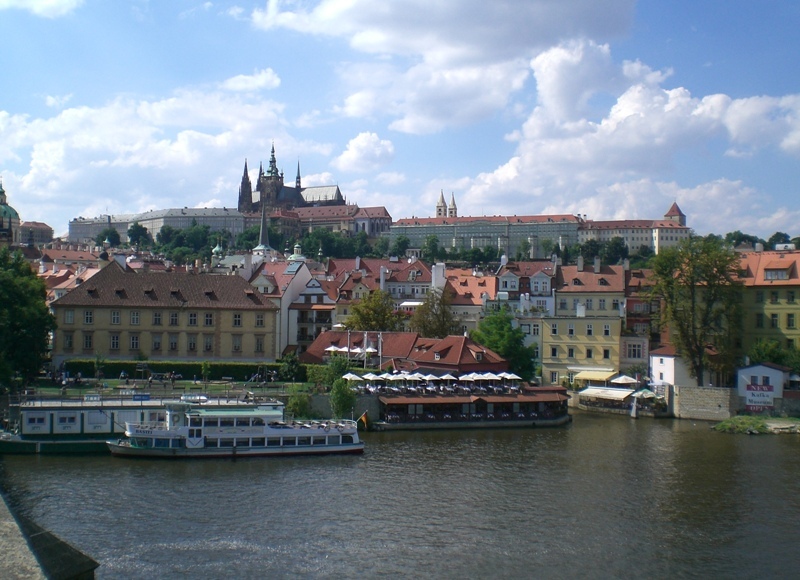 From the Charles Bridge over the Vltava River you have a view of the Czech Castle, seen at skyline of our photo. Prague Castle. View from Vltava River. Photo ©Leon Mauldin. Click on images for larger view/higher resolution. 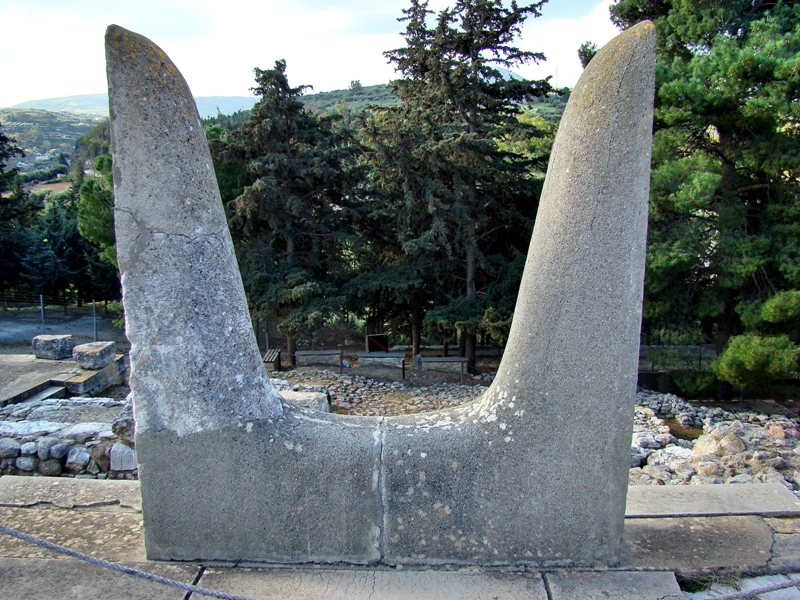 “Rhodes” here refers to the city rather than to the island of the same name (the chief island of the Dodecanese). 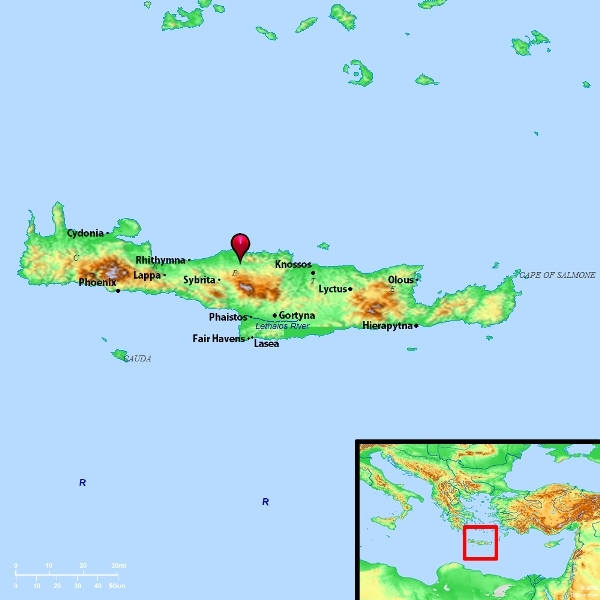 The city of Rhodes, lying at the island’s north-eastern extremity, was founded in 408 B.C. by the amalgamation of three earlier settlements. As the prevailing wind was from the north-east, they were able to accomplish this part of the voyage with a straight course (NICOT, Acts.420). 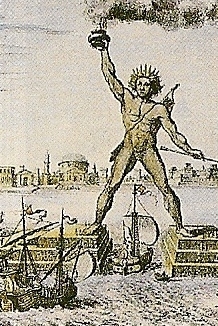 Colossus of Rhodes, Painting by Fischer von Erlach, 1700. Source: Eyewitness Travel, The Greek Islands. For 56 years the brazen Colossus of Helios stood across the mouth of the barbor. It was so large, being 105 feet high, that ships sailed between its legs. It was considered one of the seven wonders of the ancient world. The brazen Colossus represented the sun which shown almost every day on the island. 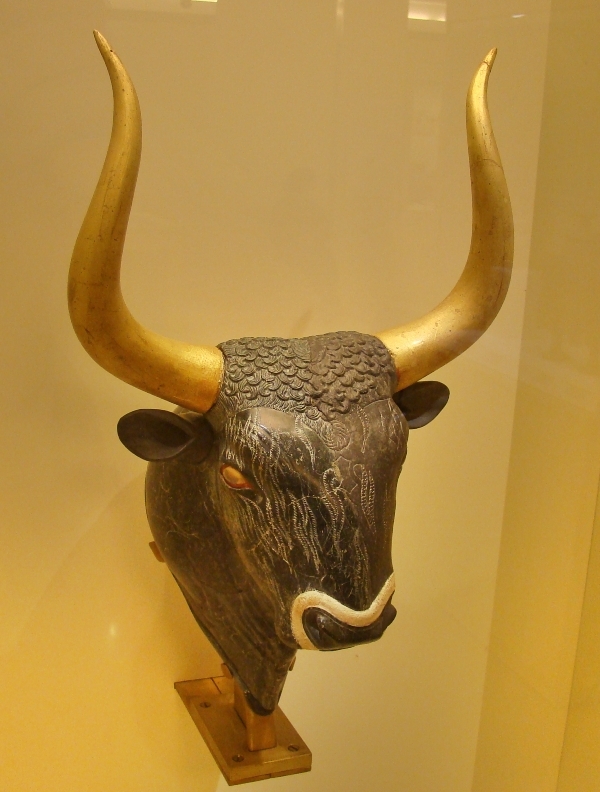 About 224 B.C., an earthquake threw the idol down. [Its fragments were still on the spot at the time of Paul’s visit.] In 600 A.C., its remains were sold to a Jew by the conquering Saracans. It took 900 camels to carry the brass away (Acts.778). Our photo below, taken in March of this year, shows the harbor looking out through the entrance to the sea. 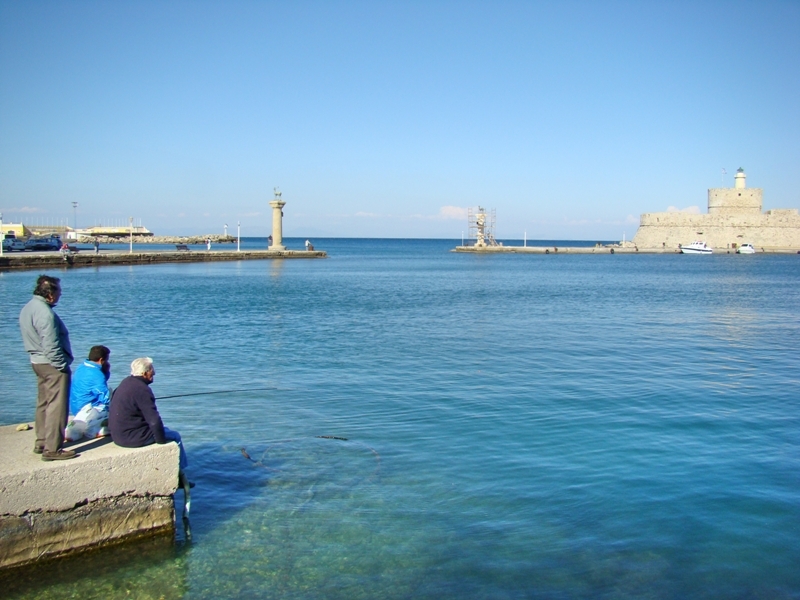 Harbor of Rhodes. Possible site of Colossus. Photo ©Leon Mauldin. 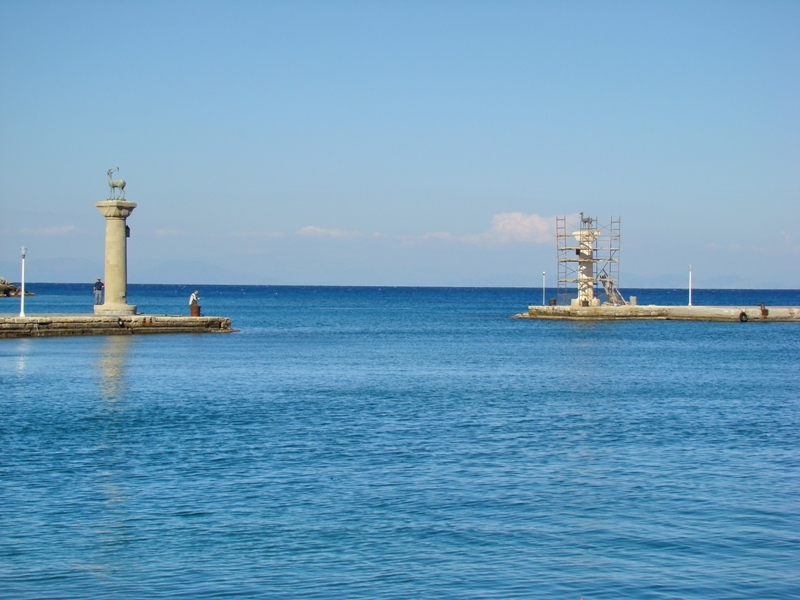 Rhodes Harbor. Closer View. Photo ©Leon Mauldin. Click on photos for larger view/higher resolution. 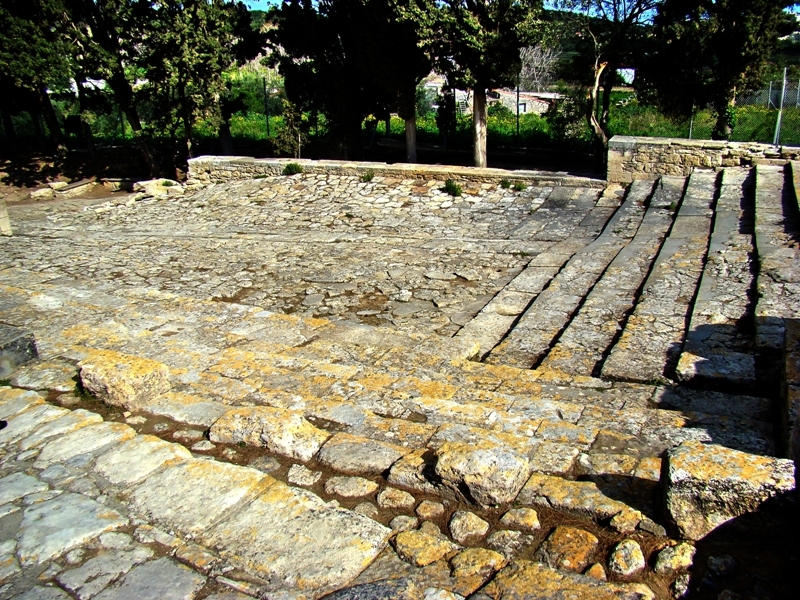 With our previous post on Laodicea we completed our look at the cities of the seven churches addressed in Revelation 2-3, sites which we visited in March of this year. We were also able to see some of the biblical islands, including Crete. Crete is the fourth largest island in the Mediterranean, following Sicily, Sardinia and Cyprus. 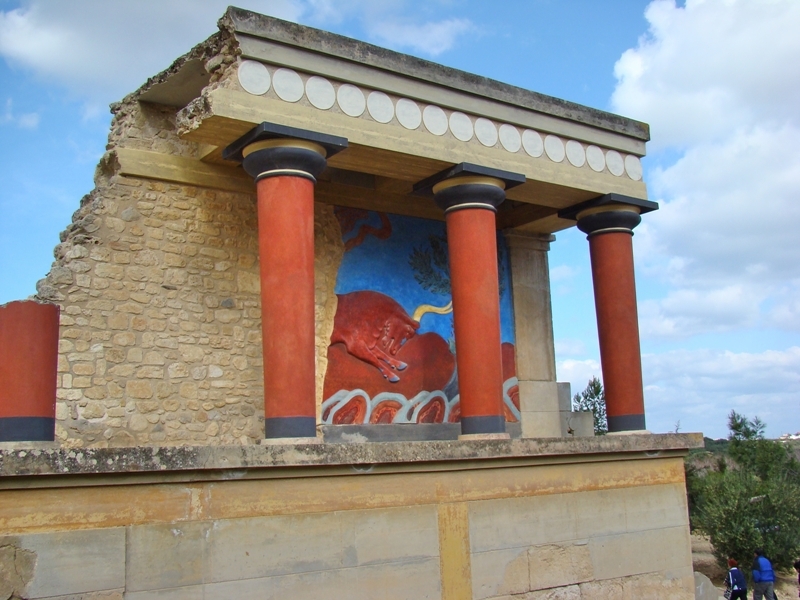 Excavations at Knossos, Crete have confirmed the existence of well established civilizations dating back to the time of Abraham (ca. 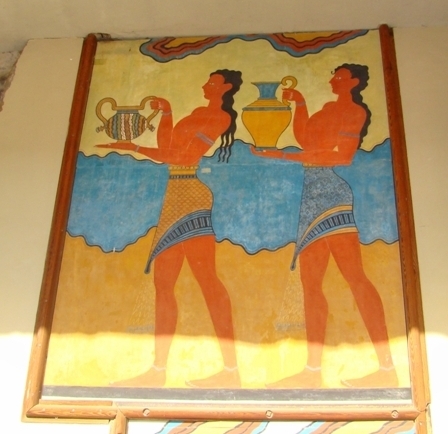 2000 B.C. ), and beyond. 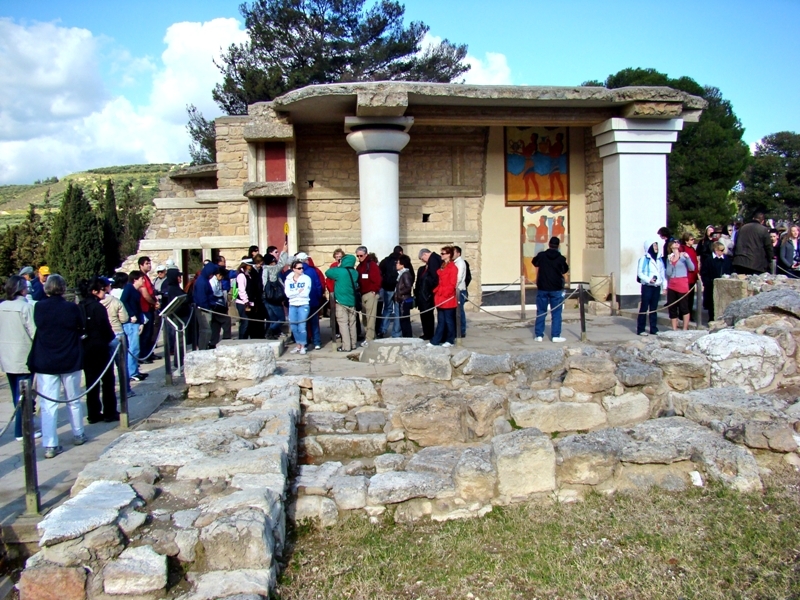 Palaces were located at such coastline cities as Knossos, which served as the heart of economic, political and religious life. 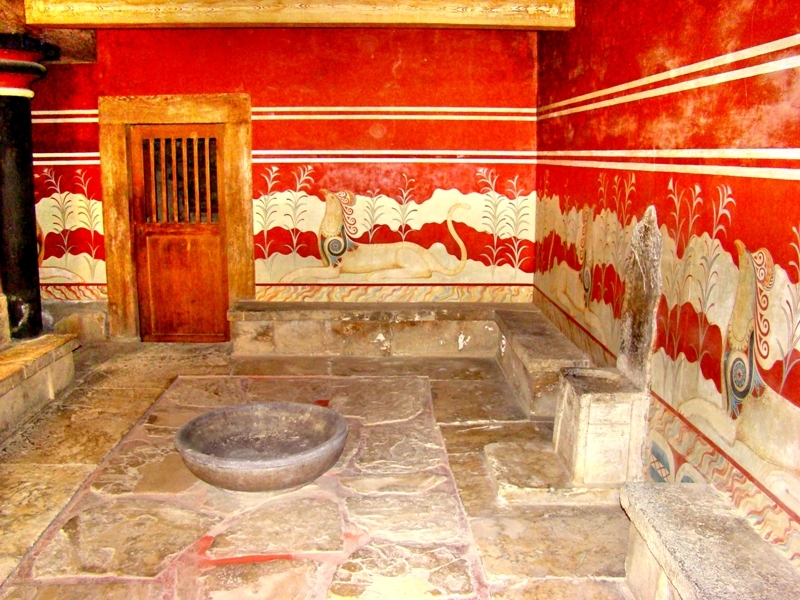 Palace of Knossos at Crete. Photo ©Leon Mauldin. Sir Arthur Evans, British archaeologist, excavated this site beginning in 1900. He used what was then newly developed methods of stratigraphy, and kept accurate and careful records of his findings. His many years of work were published in a four-volumes, The Palace of Minos (1921-1936), Minos being the ancient legendary king. Large storage jars at Knossos, Crete. Photo by Leon Mauldin. More to come on Knossos, Crete. Remember to click on image for larger view. Laodicea, I wish you were cold or hot! This is the wording to the lukewarm church at Laodicea (Rev. 3:14), one of the seven churches in the Roman province of Asia addressed in Rev. 2-3. At first glance it would seem plausible to assign the meaning of fervent and zealous to “hot,” and “cold” would mean to just quit altogether. However, a look at the setting and characteristics of the city may well be the basis for this statement of Jesus. Laodicea, though a wealthy city, was known for its tepid, lukewarm water, which was brought in from the south of the city, five miles distant. Laodicea. Water was piped in from the south. Photo ©Leon Mauldin. It doesn’t appear that it was too appetizing as you see the tendency of the pipes to clog, as illustrated in our photo. 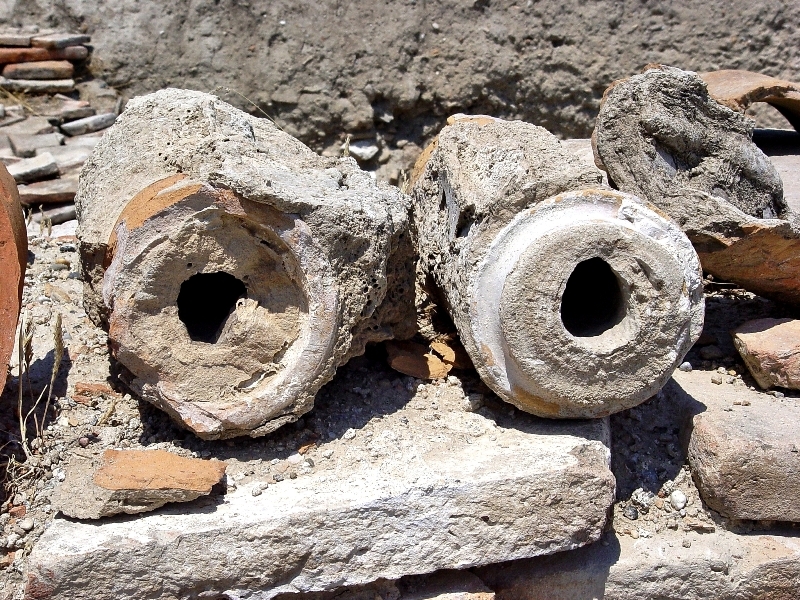 These are some sections of pipe excavated by archaeologists. 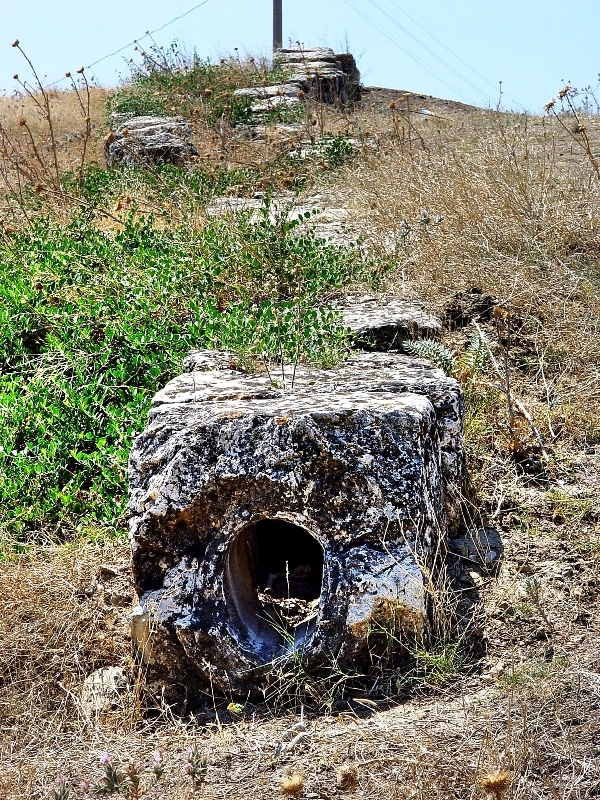 Laodicea Clogged Pipes. Photo ©Leon Mauldin. The water distribution tower shows the poor quality of Laodicea’s water. 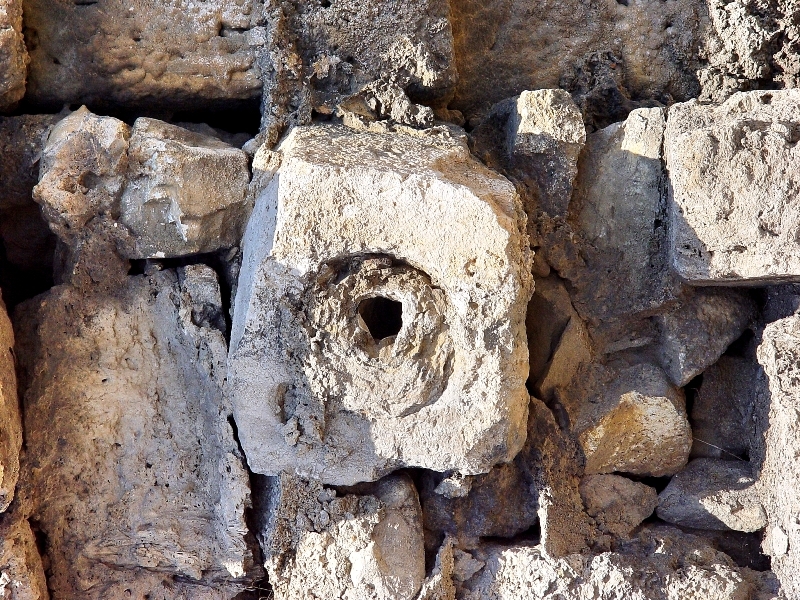 Clogged Pipe at Laodidea's Water Distribution Tower. Photo ©Leon Mauldin. But back to our point about the setting of Laodicea. Nearby to the east Colossae was known for its cold refreshing water. Cold can be a good thing! Cold refreshing water at Colossae. Photo ©Leon Mauldin. Just to the north and within sight of Laodicea is Hierapolis. 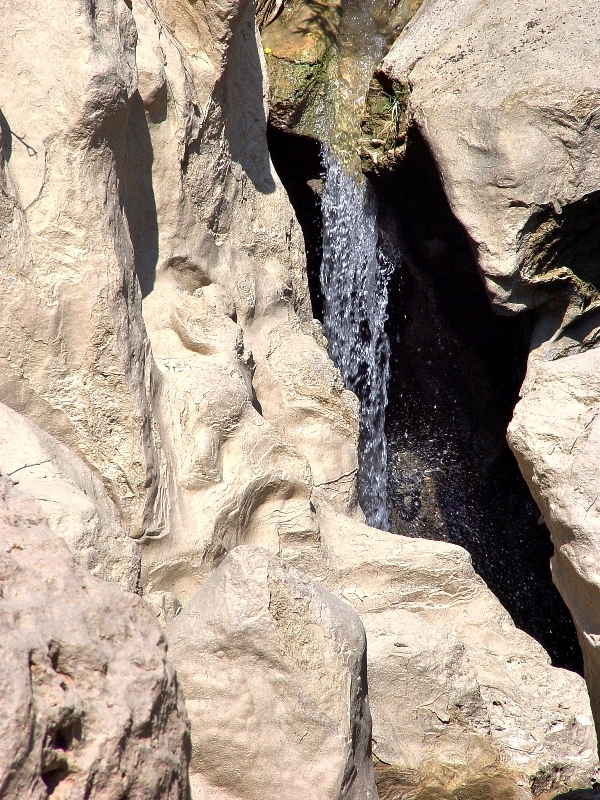 It was known for its hot thermal springs. Hot is good! 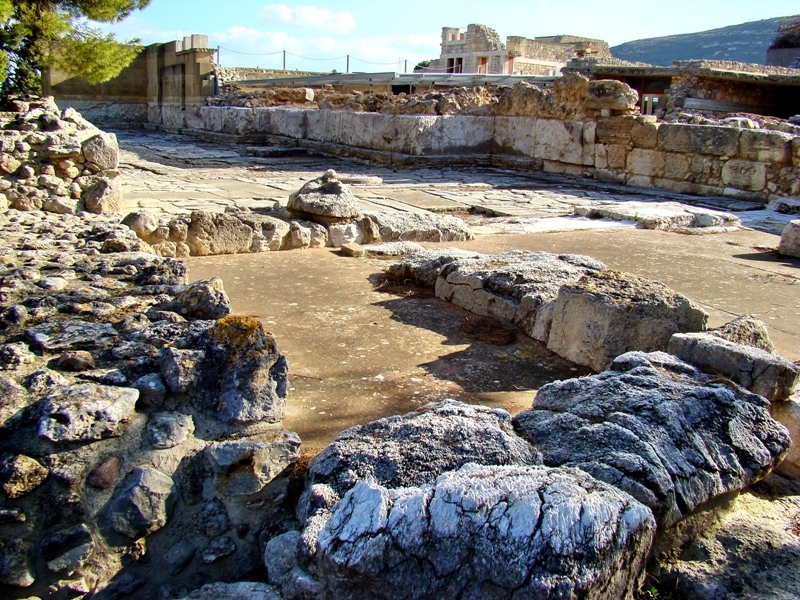 Hot water has medicinal value; Hierapolis became a healing centers. The sign below was photographed there listing all sorts of benefits. Roman emperors were among those who made the journey here. Hieraoplis. 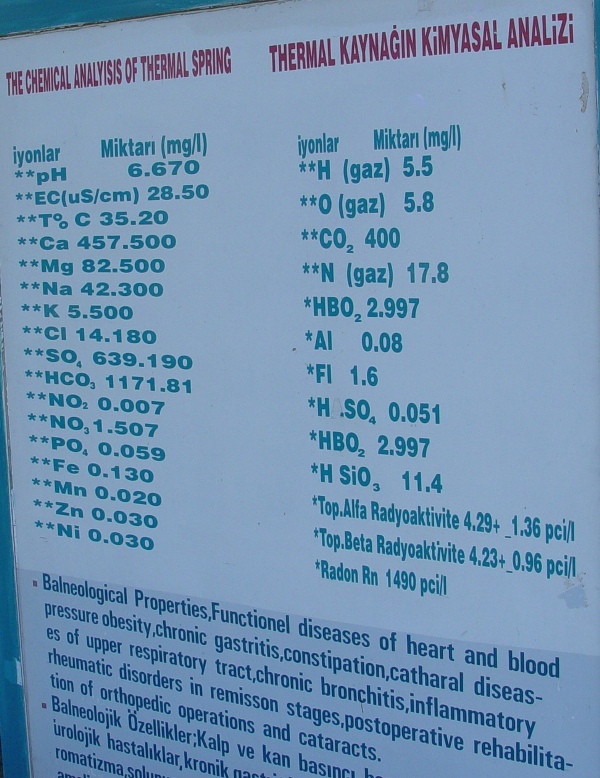 Hot thermal springs have medicinal value. Photo ©Leon Mauldin. Again, cold water is good and refreshing; hot water is good for healing, but lukewarm, what good is that? The church had taken on the characteristic of the city, and had likewise become lukewarm. What Jesus wanted the church to do was not to become cold in the sense of quitting; he wanted them to “be zealous and repent,” to turn from their lukewarmness. Study and see if you think this fits. It is consistent with Jesus’ other references to Laodicea’s wool, wealth, and eye care and using these as the basis of His admonitions (Rev. 3:18). Remember to click on image for larger view. You are currently browsing the Leon's Message Board blog archives for July, 2010.